A friend of mine showed me this app about a month ago and I've used it many times to improve my running endurance. 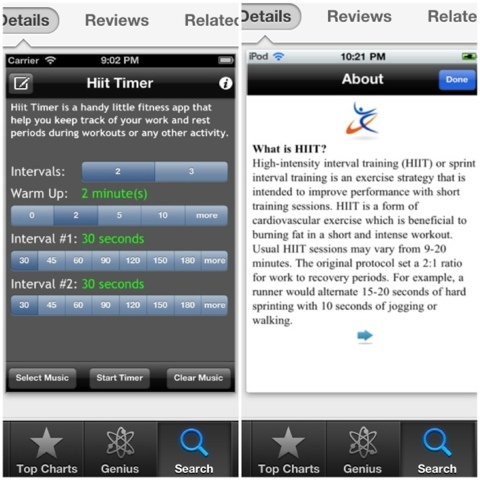 I highly recommend downloading this FREE app called "MiniHiit" which let's you work on your interval training by picking 'fast' and 'slower' intervals for any form of training. I typically use this to first get my warm up in and then do 3 minutes running and 1 minute walking or jogging for as many intervals as I can do. If I don't have much time to workout, that's when I use this app as it should be used for short, intense HIIT training of short sprints and jogging interchanges. Not only does this motivate you but if you run outside like I do, I find this app keeps you almost as on track as a treadmill would as opposed to running until you're tired. This little push goes a long way and it incorporates your music playlists which helps a lot!